Have you ever made candy? I have made caramel and sugar decorations (remember my Frozen cake?) 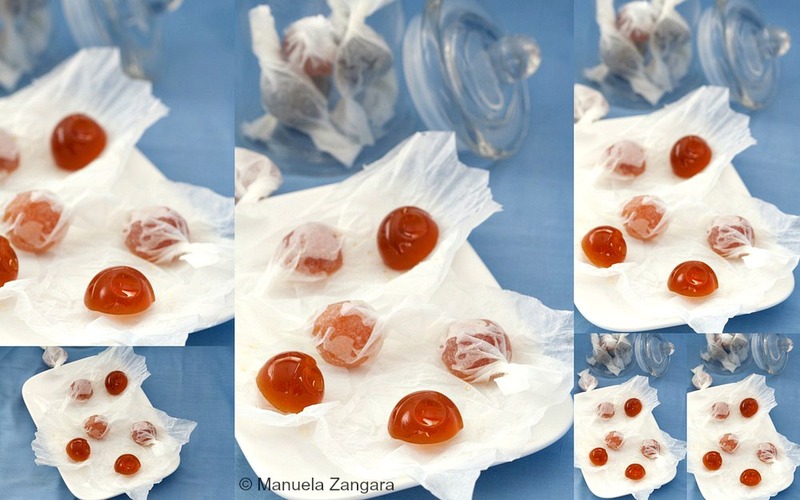 and even lollipops, but I had never made flavoured hard candy before. I got the idea when I had my last cold with a terrible sore throat. 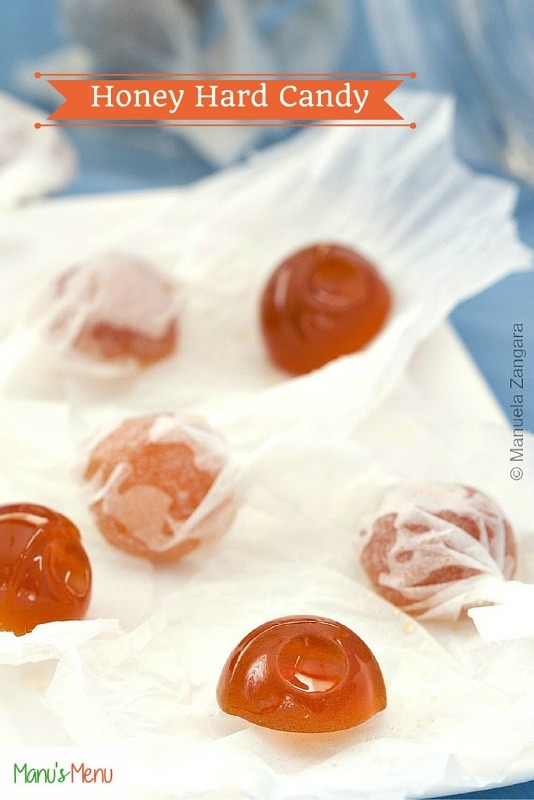 I used to buy honey candy in Italy and I suddenly felt to urge to have some… so I made my own. This is a very easy recipe, but you do need a candy thermometer to make sure you get the mixture to the hard crack stage. This is a must to ensure that the final result is indeed hard and not sticky. 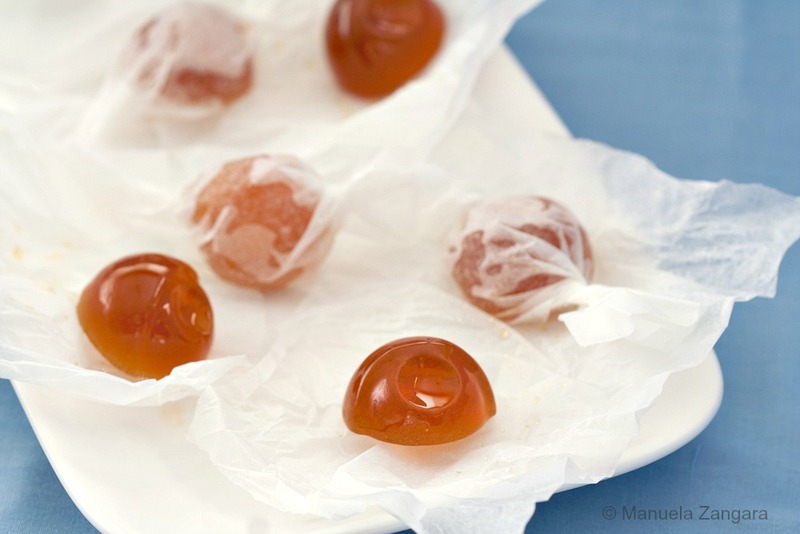 If you want to get a golden coloured candy, I suggest you use a light coloured honey as you need to caramelize it. Honey here in Australia is mostly dark, thus the dark colour of the final candy. The taste is amazing and it’s really good for your throat! Try it and let me know what you think! 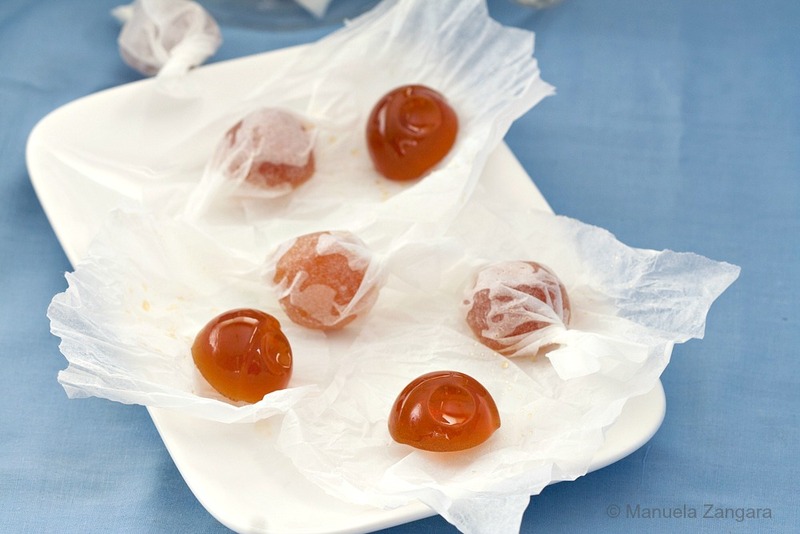 Honey Hard Candy - delicious and healthy home-made candy! In a pot, mix together the sugar, water and lemon juice and put it on the fire on a medium flame. 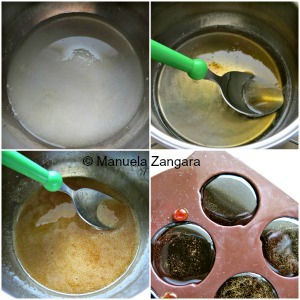 When the mixture boils, decrease the flame to low and stir in the honey. Caramelize the mixture and cook it until it reaches the hard crack stage (146°C-155°C/295°F-310°F) on a candy thermometer. Then pour into silicone moulds and let the candy harden completely before unmoulding. Hello Manu, I tried this recipe today and they came out great! I didn’t add the lemon because I just wanted the honey flavor and they came out great. Thanks so much for this recipe! The lemon juice is a preservative and thus not used for flavor. I’m using a silicone mold and the candy that touches the mold is not clear when removed. Do you know what the problem could be? Hi Melissa & Manu, I have the same question; is it possible only using HONEY? Thanks! I dunno what I did wrong, I’ve never had problems making came before, but right around the softball stage it started getting really dark and began to taste burnt. I eventually called it quits and dumped it out. I tasted it again this morning and it’s definitely burnt. I used honey leftover from rendering my beeswax, so it had already been heated once, but it tastes fine and I used fresh squeezed lemon juice. It tasted great before it started darkening. The only thing I can think is the lemon juice started to burn. Maybe it would be better to reduce the lemon juice by itself and then add it right at the end? Lemme know your thoughts. I’d like to try this again, but I need to figure out what went wrong. My question is can you make the candy with out adding the sugar. Well honey is about 12% water. So if instead of 6 Tbsp sugar you added 6.72 Tbsp extra honey it should work out. Most of the balance of honey is sugar. Hello. How long does it last? whats the shelf life?? I keep mine in closed jars and they last for at least two weeks. The more honey, the longer they’ll last. Honey doesn’t go bad. Also…. Keeping them in closed containers keeps them from getting too sticky. Will heating honey this much make it completely void of health benefits? I’ve read articles with mixed information on whether honey becomes toxic and hard to digest after heating it up? Any thoughts? Also any one find recipes where you can fill the candy with honey instead of making the whole ball hard or am I making things up? I tried this recipe today, used brown sugar instead of white sugar, but I just noticed in the comments the suggestion for making them with just honey. Will try that next time. I love the bit of zing from the lemon! Grest recipe Manu, Thanks so much for sharing it! Turned out wonderful, did have a darker flavor but it was the honey that made it dark. Didnt last long everyone loved them.